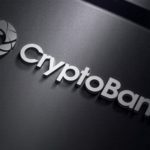 CryptoBank announces the launch of the online cryptocurrency exchange platform cbex.co.in. 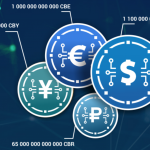 The decision to create became necessary to need of the cryptocurrency community to conduct safe cryptocurrency transactions and support the option of exchanging own CryptoBank platform tokens - CBD (CryptoDollar), CBE (CryptoEuro), CBR (CryptoRuble), CBY (CryptoYuan) and CBMT (Cryptobank Master Token). 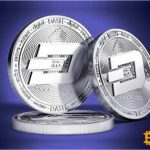 Also on the platform the following cryptocurrencies are available for exchange: Bitcoin, Ethereum, Ethereum Classic, ZCash, Monero, Dash, Litecoin, Monero. The converted funds can be withdrawn both on VISA and MasterCard cards, and by cash transfer. All you need to successfully conduct a transaction for the purchase and sale of digital currencies is to enter information about the transfer direction, enter personal information and pass verification. User must agree with the private policy of cbex.co.in and then make payment directly. For those who for some reason do not want to verificate data there is the possibility of anonymous transaction implementation. In this case, the exchange process will be greatly reduced and simplified (the system will ask for your e-mail only), which can be called as one of advantages of this cryptocurency exchange platform. Please note that during the week the platform conducts transactions with zero commission, so do not hesitate and rather personally use this service. To the same processing of transactions is automatical withdrawals, so your payment will be processed and transferred to the desired address at any time in any part of the world. After the launch, the representatives of crytpocurrency exchange have expressed the intentions of further development and addition of support for more cryptocurrencies. The main goal of cbex.co.in is to create a world-class platform that can provide the community with such benefits as efficiency, safety and reliability. Thus, cbex.co.in. intends to provide the best user experience and show its commitment to cryptocurrencies. 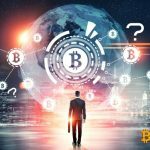 While interest in cryptocurrency continues to grow, this space still lacks adoption. Online exchange cbex.co.in. not only ensures the conduct of safe transactions, but also represents a significant step towards improving the level of accessibility and convenience. © 2018 bit.news | queries 227, for 0.505 sec.